Recently, terrible storms and flash flooding hit Louisiana extremely hard. The weather has displaced thousands of people, caused millions of dollars in property damage, and put many pets and wild animals in life-threatening situations. 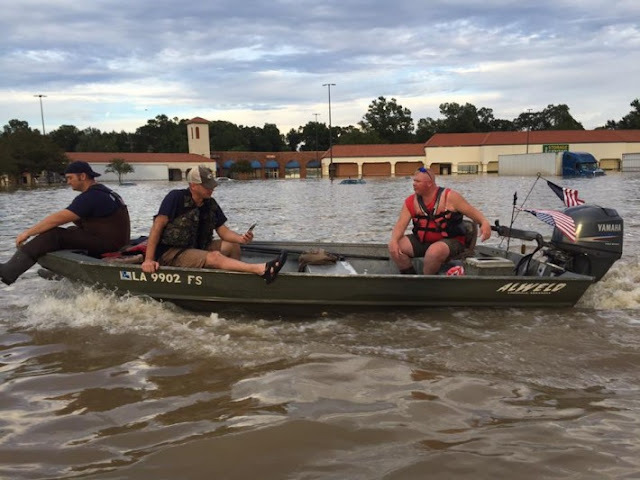 In the wake of the recent storms and flooding in Louisiana, Baton Rouge’s Mike Anderson volunteered as a rescuer. He and his friend Darrell Watson have combed flooded communities searching for people who are stranded or otherwise in need of help. The two have also saved many pets who were stranded in precarious situations, but two animals in particular stand out. 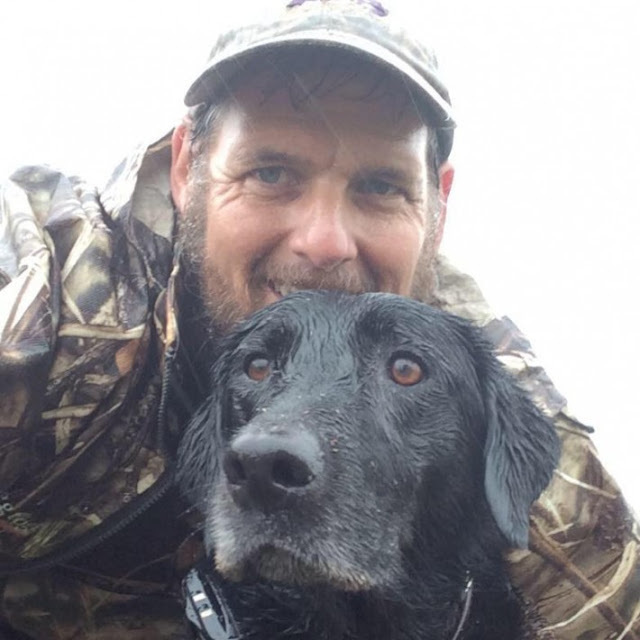 Mike and Darrell found a pit bull who had been treading water trying to stay alive for around 16 hours, and they knew they had to help. Incredible! 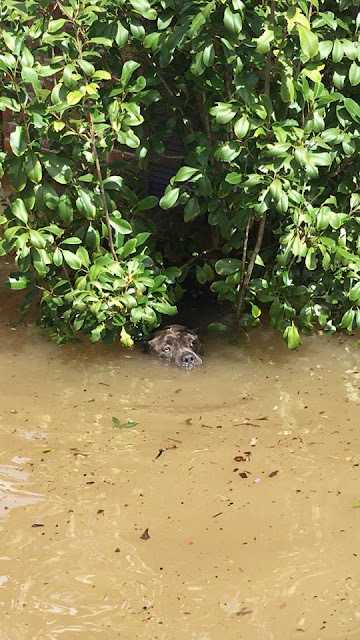 There are still many people and animals stranded by the flooding in Louisiana, and, luckily, Mike and Darrell have no plans to stop their good work until everyone is safe and sound.